Earn Money for Teaching: VIPKID Needs You! This message is sponsored by our friends at VIPKID. Opinions are our own. I had a very good friend who has started working for VIPKID. She loves it. In fact, many of her social media posts are of her setting up her workspace and getting ready to work with the kids she teaches English to. She did not have a teaching degree, but she is educated, a good mom, friendly, and motivated. 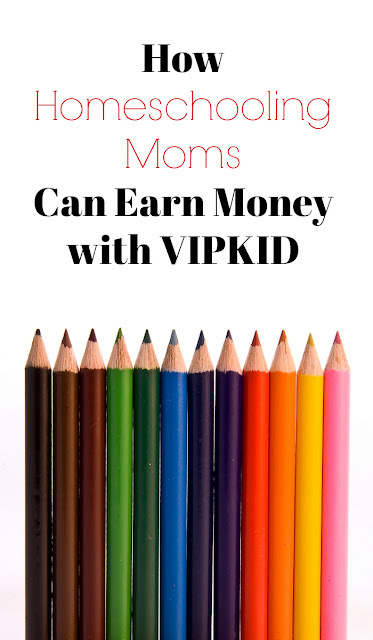 I think these are all reasons why she is having a great time teaching -- and earning money for her family -- with VIPKID. Currently the leading education platform connecting Chinese children with North American teachers, the program provides 1-on-1 online English lessons. They are expanding and need quality teachers and stay-at-home parents with some experience either tutoring or teaching. You do NOT have to speak any Chinese to do this! that allows you to work from home. Flexible hours lets you work as much or as little as you want. You also have the chance to impact the lives of Chinese children! The sign up process includes filling out a basic information form, presenting a 10 minute teaching sample, sitting on an intro to teaching course, and having a mock class. After that, you sign the contract and begin! Total time to get started is less than 8 hours! Does this sound like you? Check out their program here. You can also look on Facebook to find many happy teachers who work in the program. With kids back in school, it may be the best time to get started. Over 20,000 teachers have made the choice to join VIPKID!